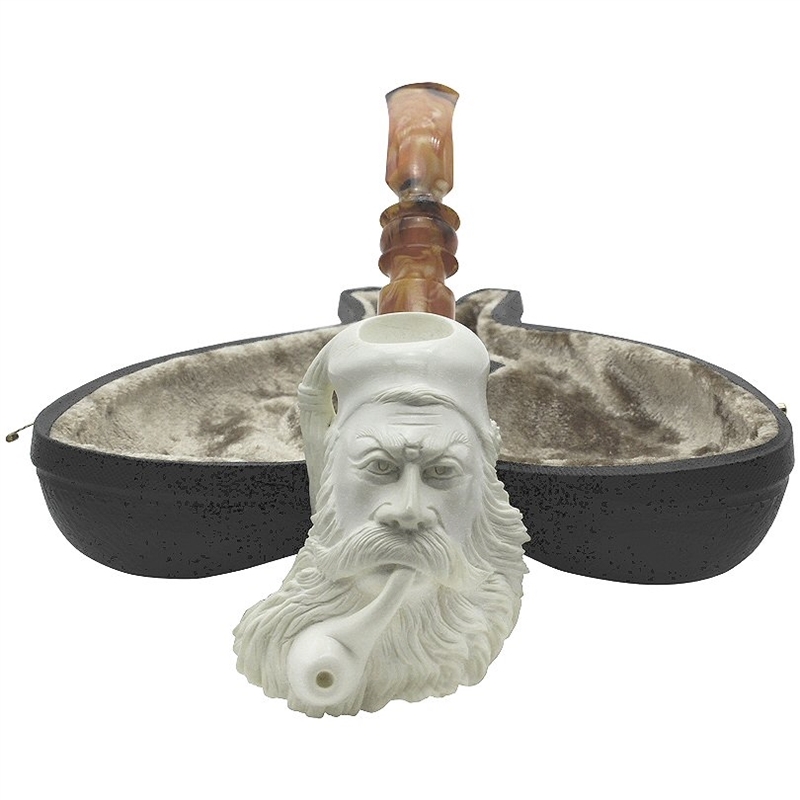 Deluxe Hand Carved Signed R. Karaca Bearded Man Meerschaum Pipe - Carving of a bearded man smoking a meerschaum pipe and wearing a tasseled fez cap is signed R. Karaca on the shank. 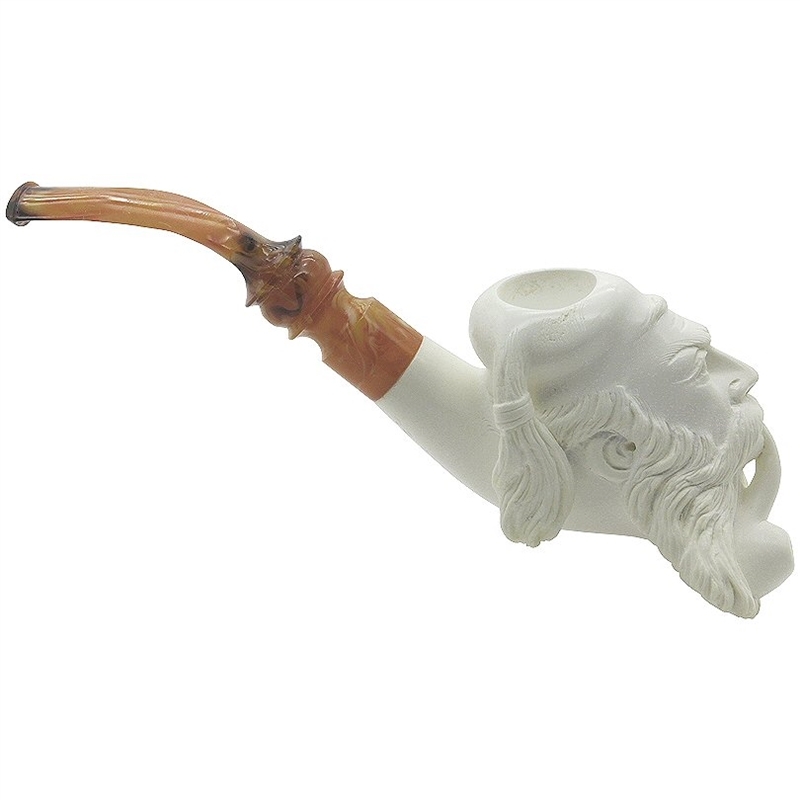 A scrolled designer stem marbled in amber colors completes the pipe. A special note...only a few carvers would try to carve a beard in this style with such fine detail. 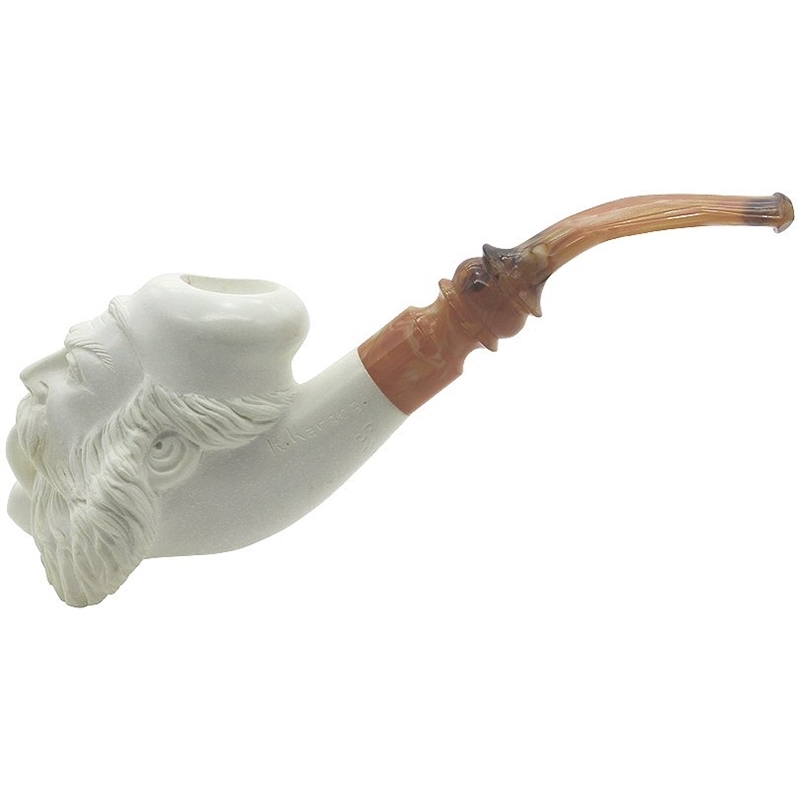 Meerschaum carved in this manner can break so easily. 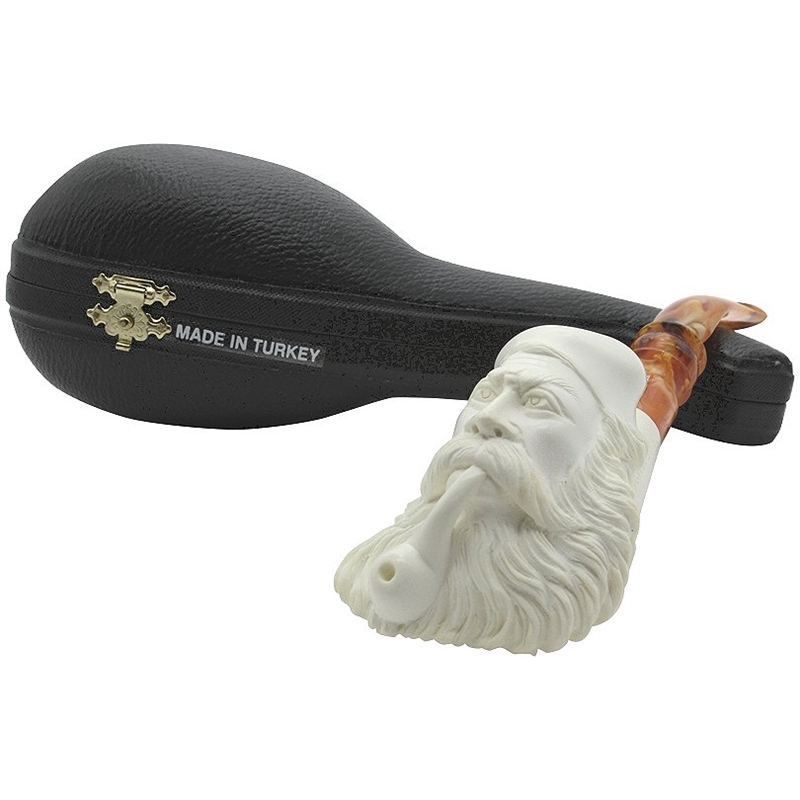 Cevher is a top carver, and the fact that Cevher signed this pipe is testament to its first class quality.